This past weekend, on January 26th, the Flin Flon Aqua Jets had 22 of their club's 27 swimmers attend the Thompson TNT swim meet. 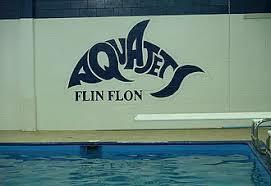 There were 50 events total and Flin Flon had swimmers enter 37 of these available events. They attained an amazing 28 provincial qualifying A times from 8 of our swimmers. That’s a total of 73 ribbons for 20 swimmers! The kids had fun and represented Flin Flon well.